IBEX 35 is the index made up by the 35 most liquid securities traded on the Spanish Market, used as a domestic and international benchmark and as the underlying index in trading of derivatives. Technically IBEX 35 is a price index that is weighted by capitalization and adjusted according to the free float of each company comprised in the index. 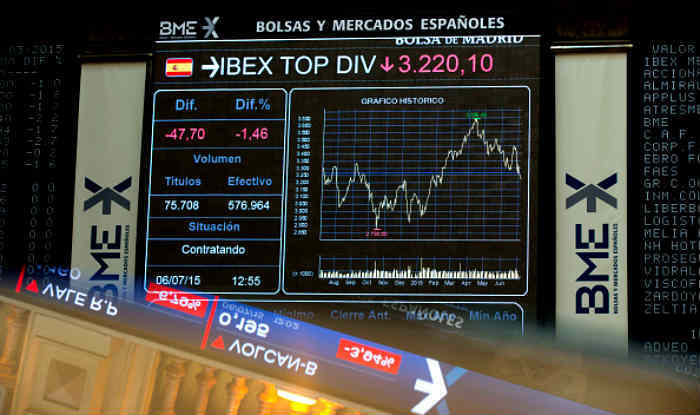 The IBEX 35 index is composed of the 35 securities listed on the stock exchange Interconnection system of the four Spanish stock Exchanges, which were most liquid during the control period pursuant to the terms of this regulation. IBEX indices are Euro-denominated and calculated in real time within the European time zone. The selection of a security to be included on the IBEX 35 does not necessarily depend on the size of the companies, although a minimum market capitalization is required to be eligible for the IBEX 35.Many large companies that are regularly traded on the stock exchange, with large daily trading volumes , belong to the IBEX 35, though not because of their size but owning to their liquidity. The base value of the index is 3,000 at the close of trading on 29 December 1989.The IBEX 35 futures contract has as its underlying security the IBEX 35 Index multiplied by 10 EURO.